Pictured: Pip and Mick Hudson are the father and son team who will represent NSW at the Supreme. Bungendore would like to thank the NSWSDWI for allowing us to stage the 2015 Selection Trial. The trial was worked over three rounds with two mobs of crossbred lambs being used to stage the trial. Even though there were limited numbers of workers, there was 30 dogs in the first round and the standard of the trialling was at a very high level. Congratulations to Mick and Pip Hudson, their standard of trialling would have won this selection trial held anywhere in the state. Being the first father and son team to represent NSW, I am sure they will do us proud. Thanks to all those people that helped, our Judges Bill and John, our cook Geoff, our let out man Tony and our time keeper Barb. 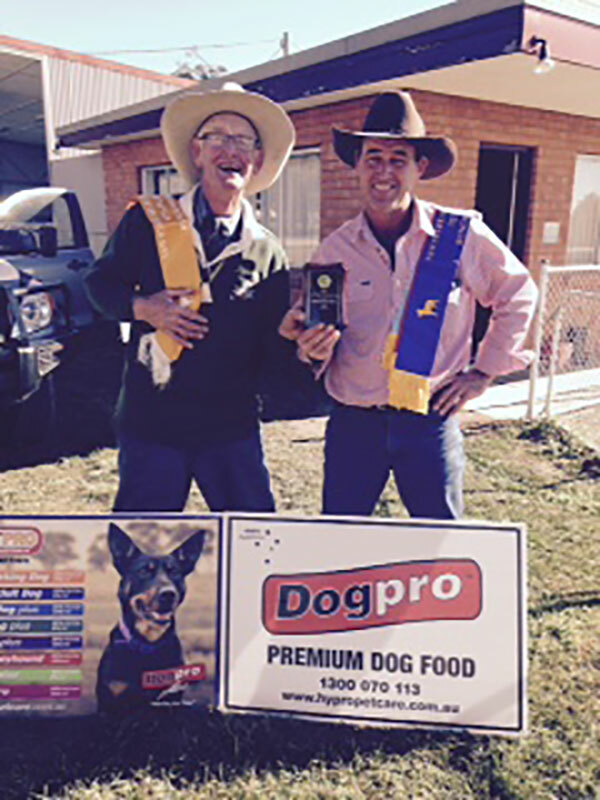 This trial was conducted in the spirit that all trials should be staged and the winner was our hobby dog trialling.